I've been really trying to step up my fitness game after I spilled the beans about my negative body image. I'm happy to report that while the pounds aren't flying off, I have been much more committed to my personal fitness, averaging 3 workouts per week. I've also shared that I had multiple surgeries to my knee and they've made it difficult for me to do high-impact workouts. After 20+ years of playing competitive soccer, I was desperate for a fitness option that I enjoyed and provided me the outlet for stress relief that I'd became accustomed. I turned to yoga and I've had a love affair with it ever since. I love yin and vinyasa and flow and hot and every type in between. 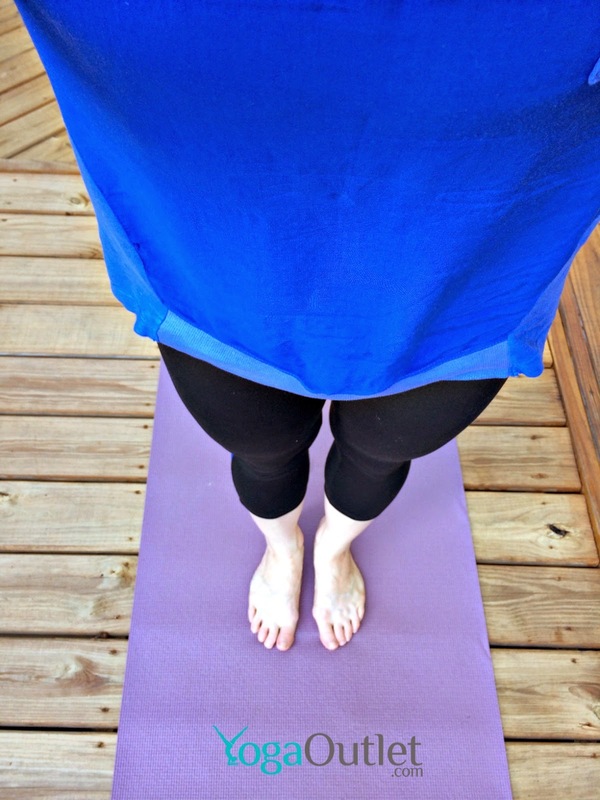 When my husband and I moved into our home, I quickly discovered that there were no nearby yoga studios. I was (and still am) very disappointed by this realization. However, my luck is a-changin', a couple weeks ago I discovered that one of my favorite studios opened a new location near my office! Now all I need to do is gear up. I can't be the only one that uses fitness as an excuse to shop - who's with me? I discovered yogaoutlet.com and I just had to share my adorable (and super comfy) yoga gear. So it gets even better you can get a one-time 15% discount at YogaOutlet.com by using the promo code "bridgepose" at check-out on their first purchase!